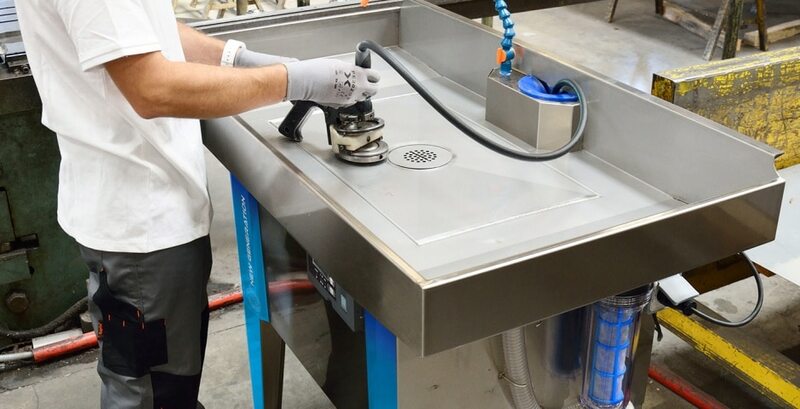 SRI France is pleased to introduce you the new generations of MODULAR biological parts washer. 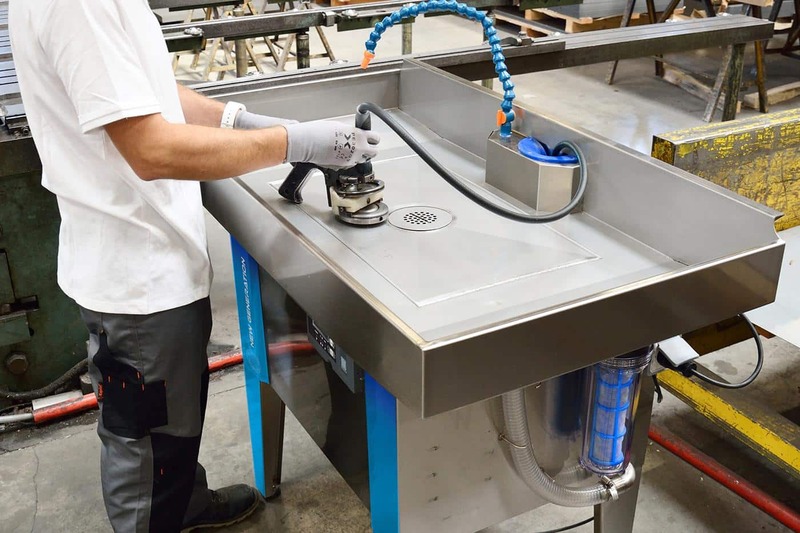 The OCEAN INOX biological parts washer can be adjusted to workshops needs thanks to its ergonomic tank and its 3 interchangeable sizes for the cleaning area. 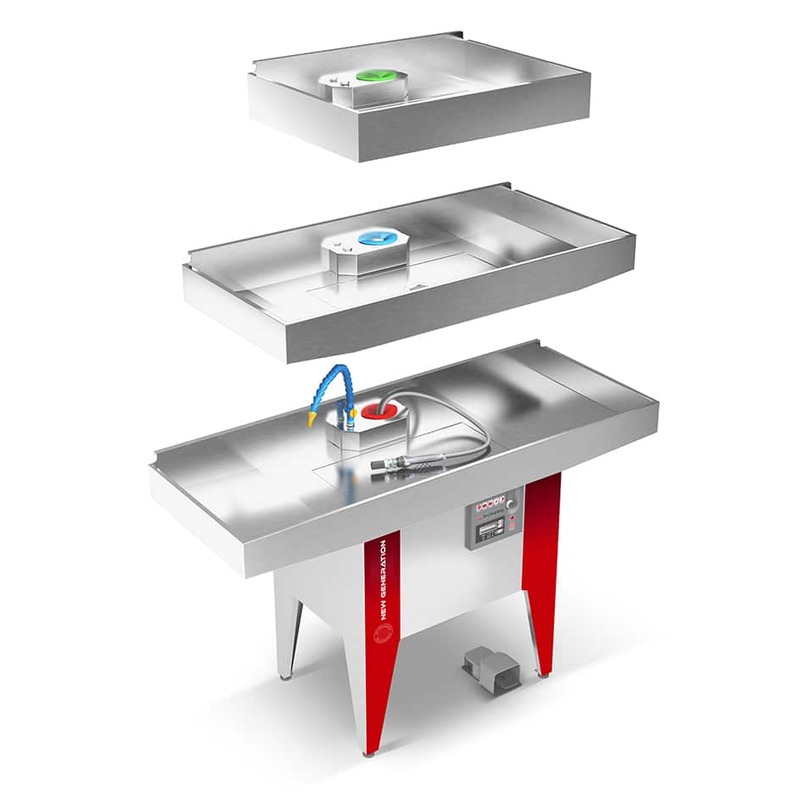 MODULAR SIZE : A tank with an electronic kit and 3 interchangeable working area that fits the maintenance needs. EASY MAINTENANCE : Interchangeable electronic kit. Easy to drain system with visual indicator of the fluid level. 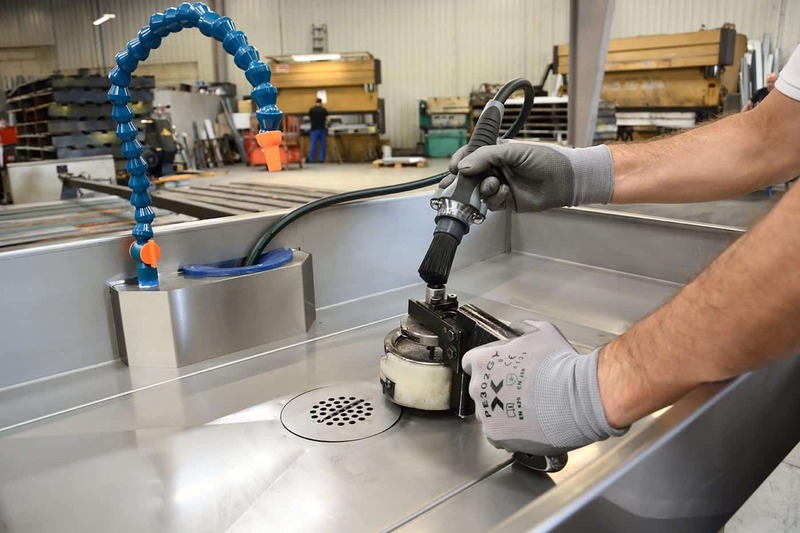 OPTIMAL CLEANING PROCESS : Premium Parts Washer heated at 38°C for a high class maintenance cleaning through the brush, the soaking or the sprinkle. Discover the full range of ergonomic innovations in video: fast and easy changing of the cleaning area, the electronic kit, the brush, the pump without any tool and quick draining.